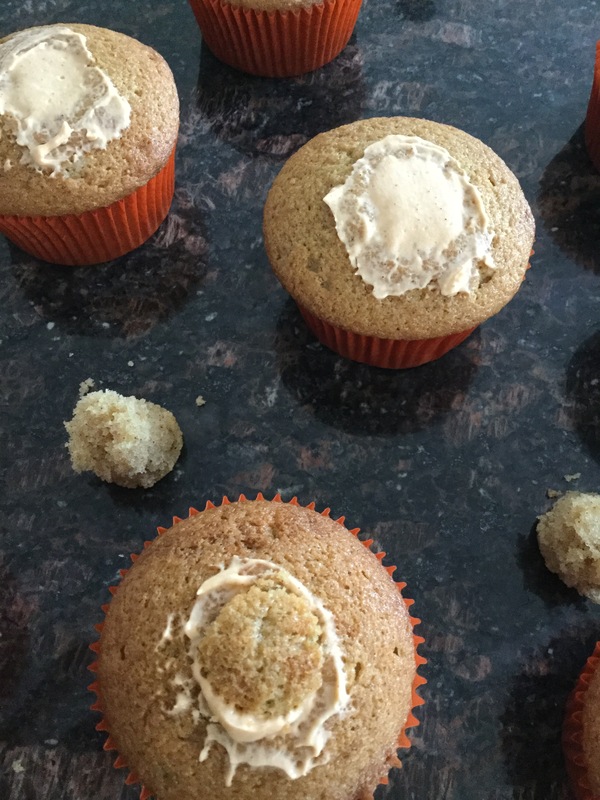 For today’s Holiday Cake Week treat I am bringing you Snickerdoodle Cupcakes. Snickerdoodles are a simple cookie rolled in cinnamon sugar and are a traditional Christmas cookie. 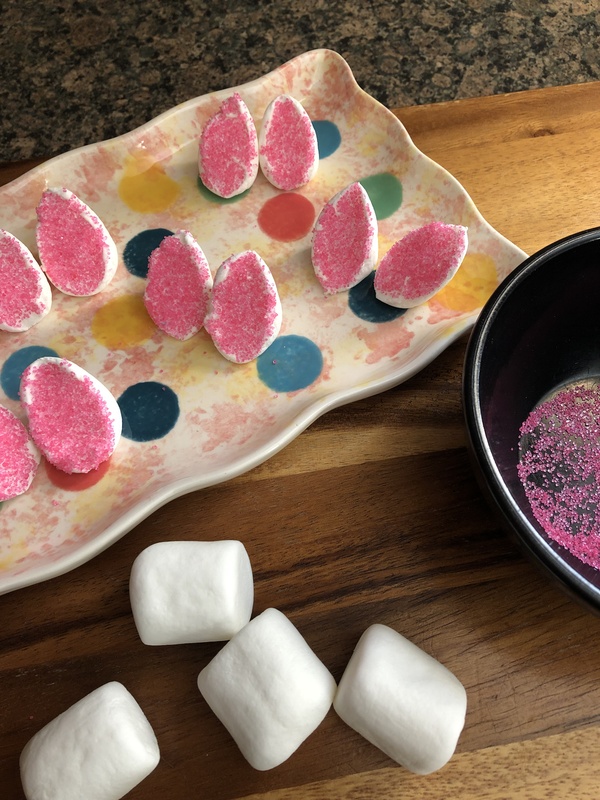 People sometimes confuse them with sugar cookies, but, there is a distinct difference between the two of them, besides the cinnamon sugar topping, Snickerdoodles are chewy while sugar cookies traditionally have a more crisp bite to them. 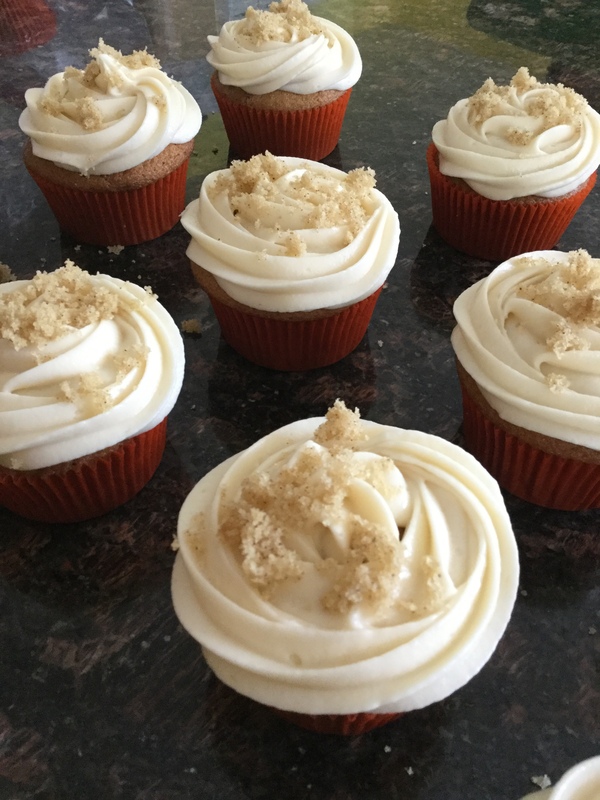 These cupcakes have a cinnamon sugar topping similar to the cookie and are the perfect texture. 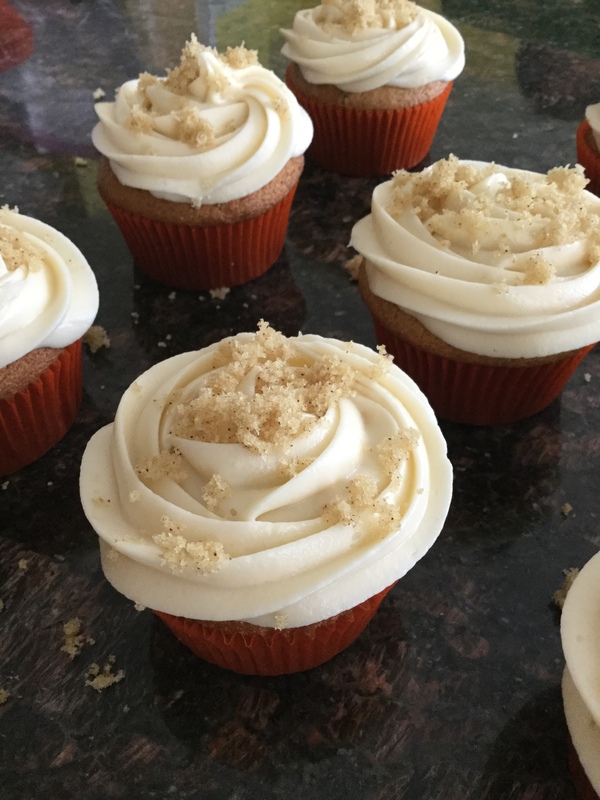 The original recipe called for a Brown Sugar Buttercream frosting that I opted to omit, I truly feel the cupcake is enough on its own. 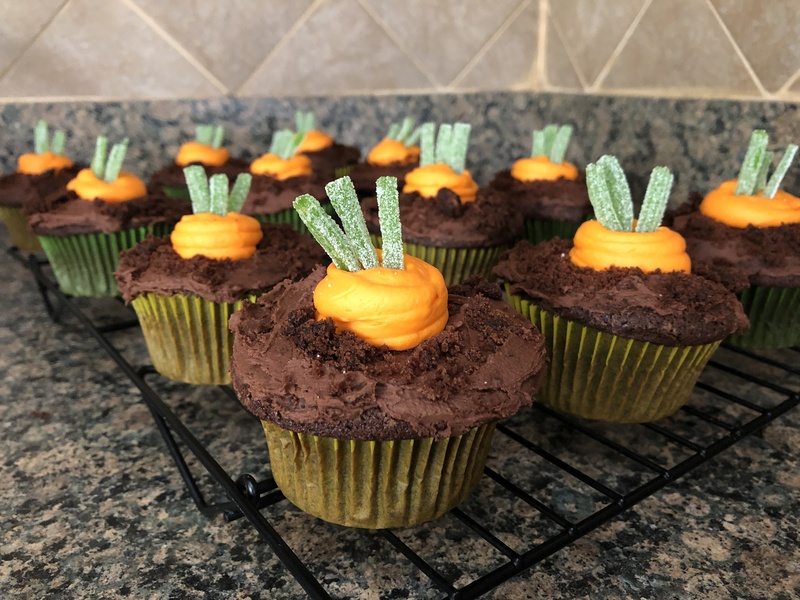 If you’re interested in the frosting, follow the link after the recipe below. And, if you are looking for a yummy Snickerdoodle recipe, check out the one I post a few years ago. I still use it to this day. 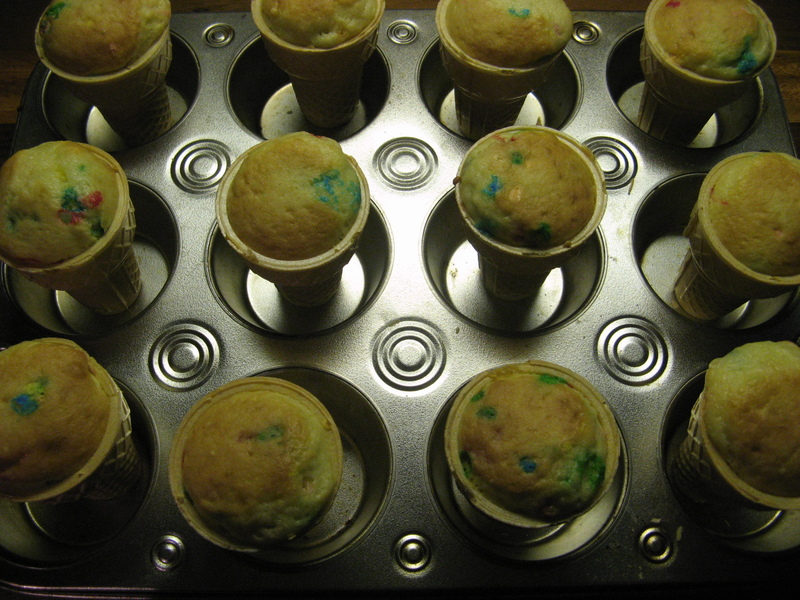 Preheat the oven to 350 F and line cupcake pans with cupcake liners. 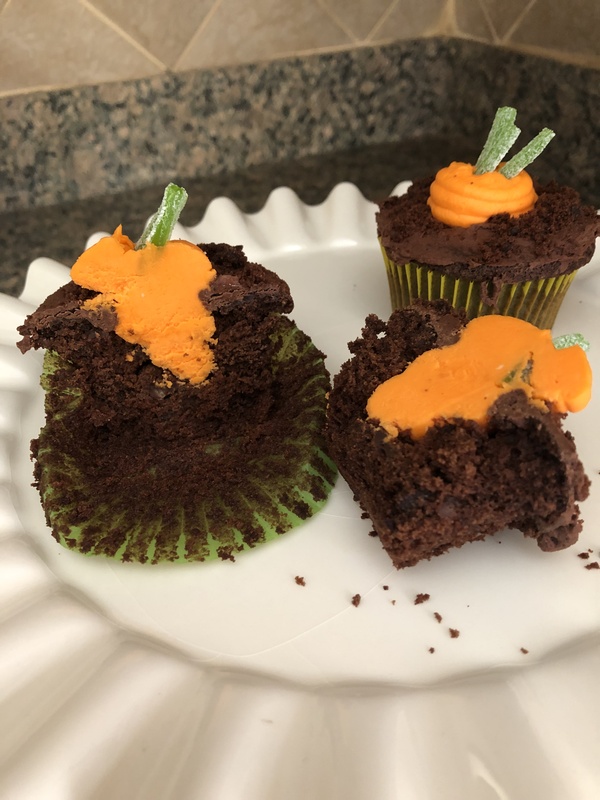 In a medium bowl combine the dry ingredients: flour, baking powder, baking soda and salt. 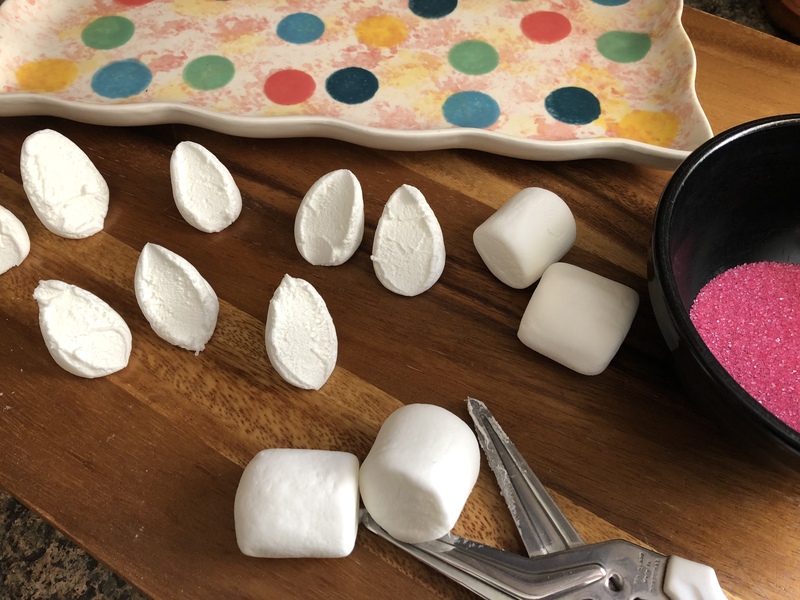 In a microwave safe bowl, melt the butter. Then whisk in the sugar, buttermilk, sour cream and vanilla. Add the liquid ingredients to the dry ingredients and mix until incorporated. 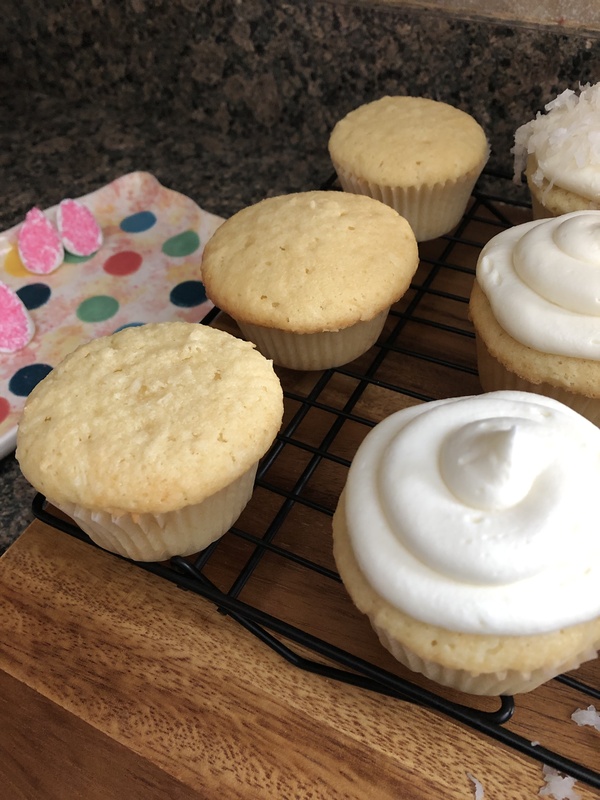 Using a stand mixer or a hand mixer, beat the egg whites until soft peaks form. Fold into the batter until combined. 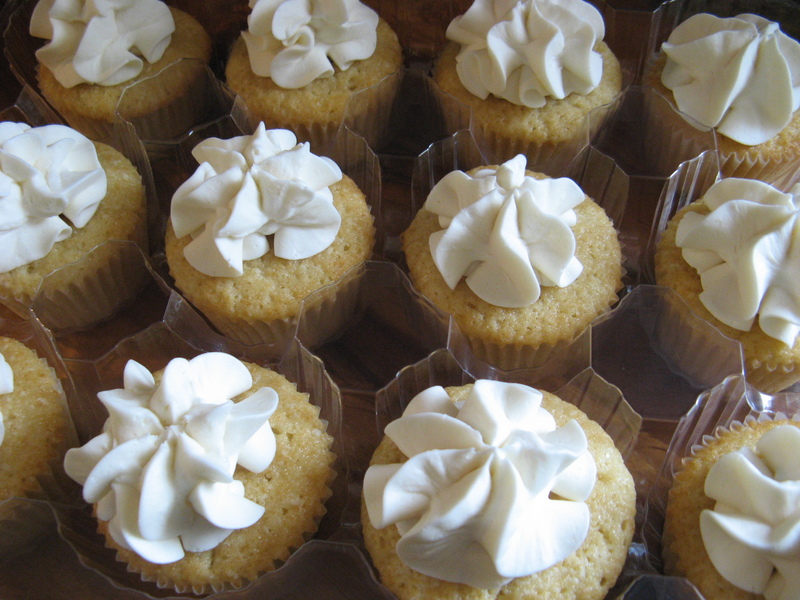 Fill the cupcake liners 3/4 full – about 1/4 cup batter in each one. 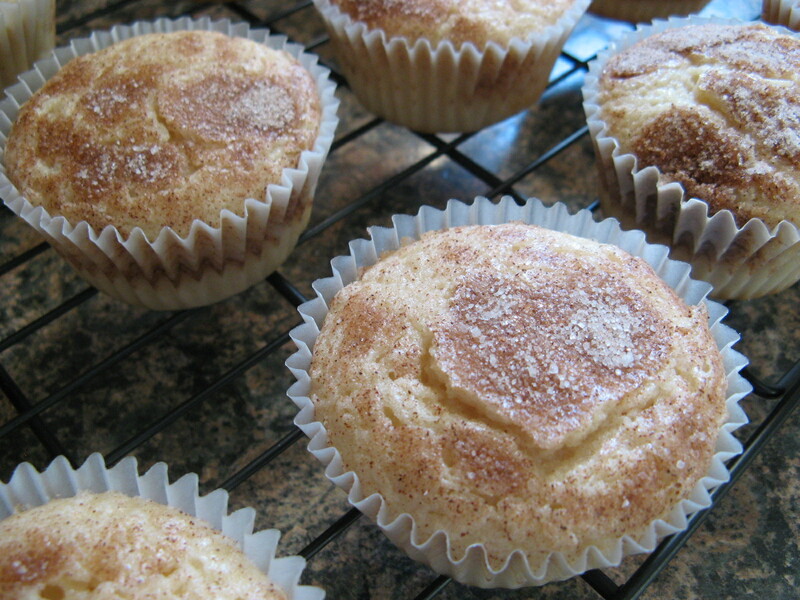 Mix the sugar and cinnamon for the topping and sprinkle a generous 1/2 teaspoons on top of each cupcake. 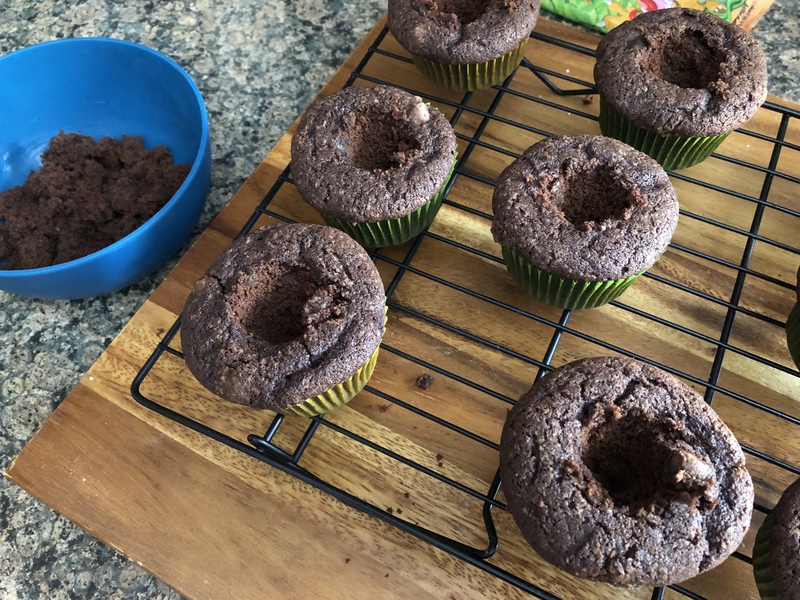 Bake for 15 – 18 minutes, or until a cake tester comes out with a few crumbs. 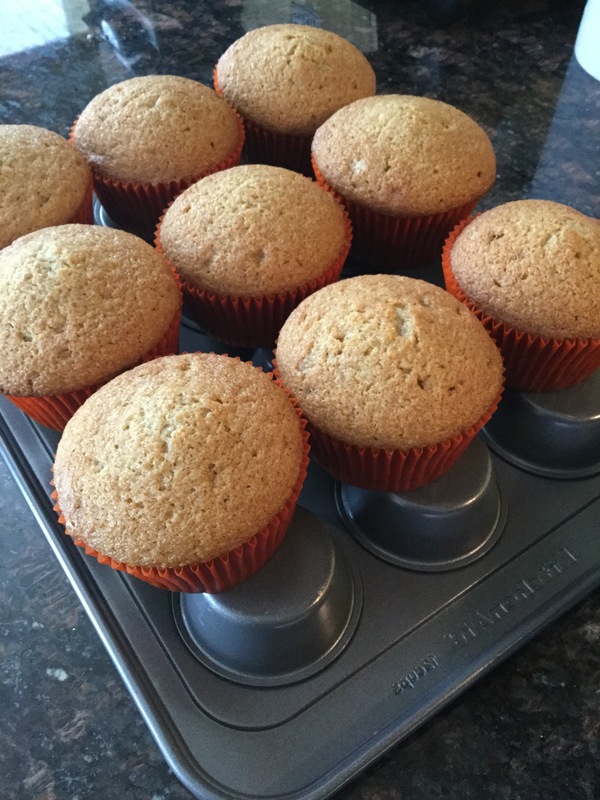 Allow cupcakes to cool in pan for 5 minutes and then transfer to a wire tack to cool completed. 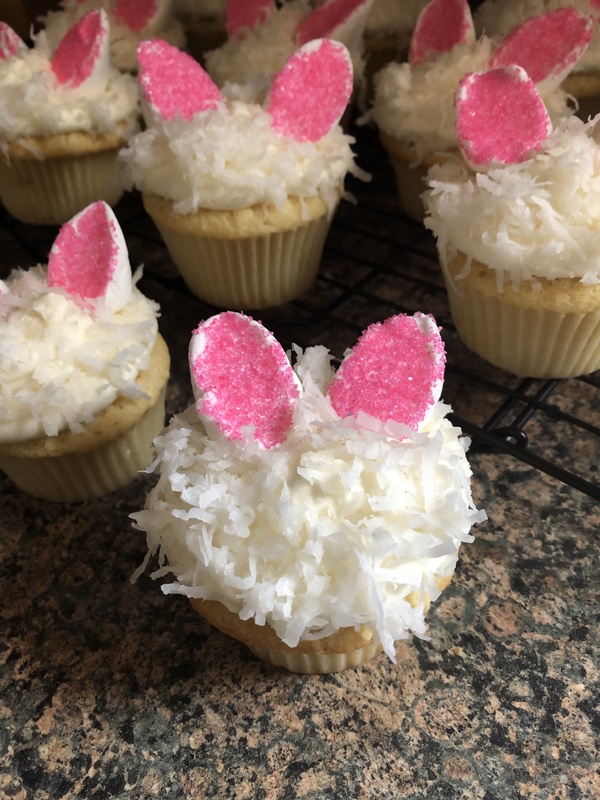 While scrolling through my Instagram feed I saw a picture of Ice Cream Cone Cupcakes and immediately thought… “I want to try that!” This happens a lot when I am looking at pictures on Instagram. 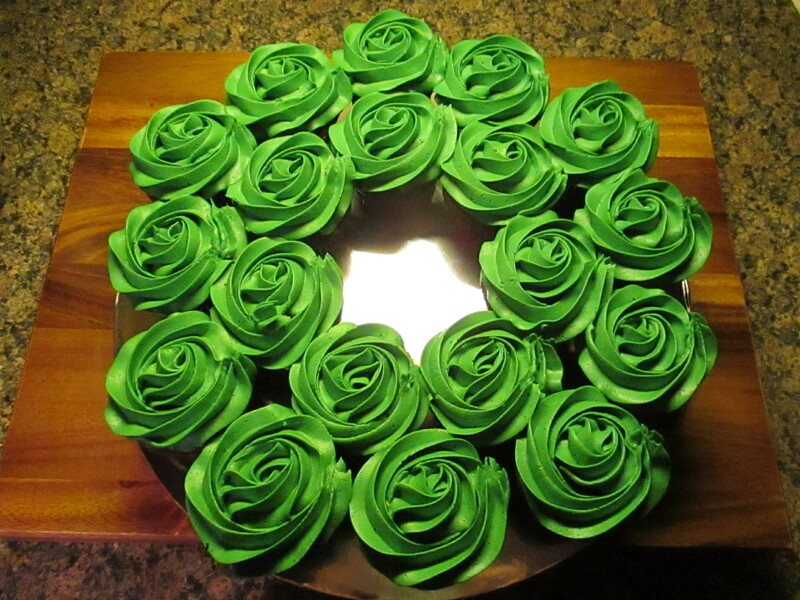 It could be a recipe, a cake idea or a craft project. I recently purchased the supplies for a paint pouring project I saw on AC Moore’s page. 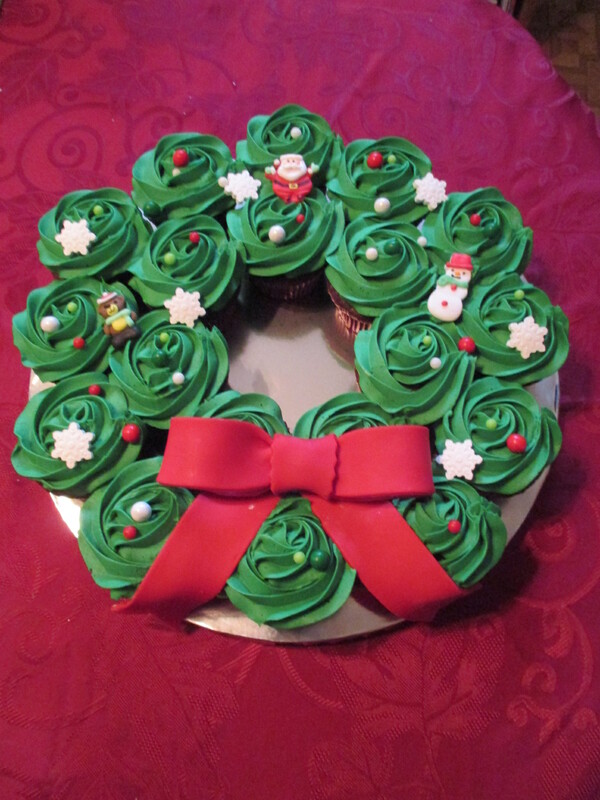 I am sure it’s going to be a messy one so I am waiting for a decent weather day to make that outside. 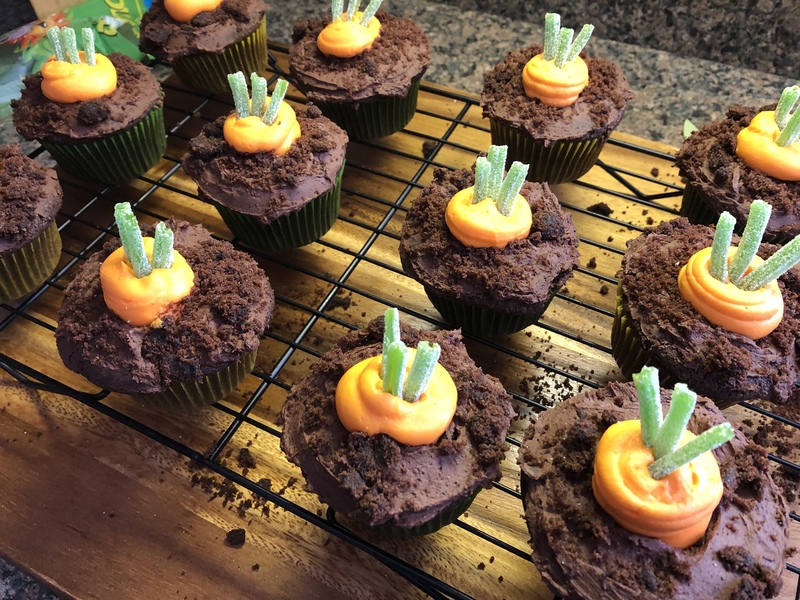 I initially thought that the cupcakes were baked in a mini muffin tin and then placed inside of the cupcake cones (silly me!) 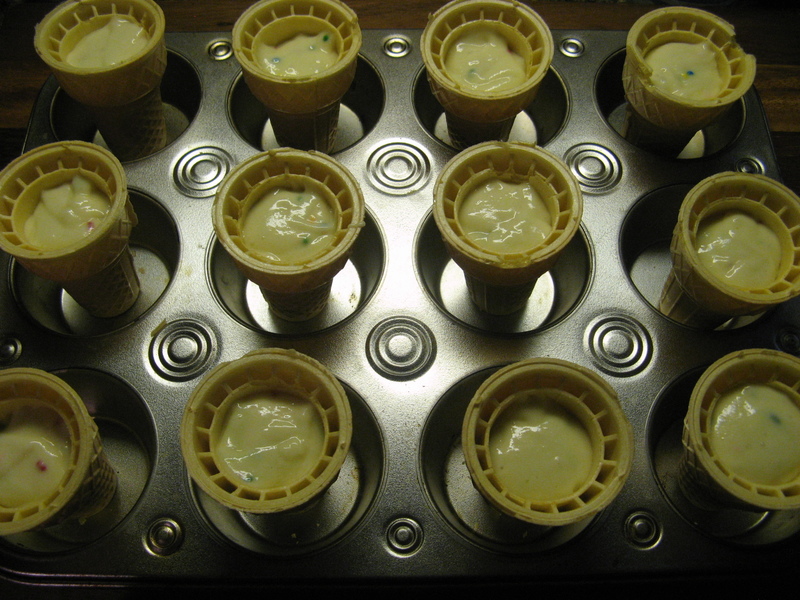 but after a Google search I learned that no, the cupcakes are actually baked in the cones (even better!) 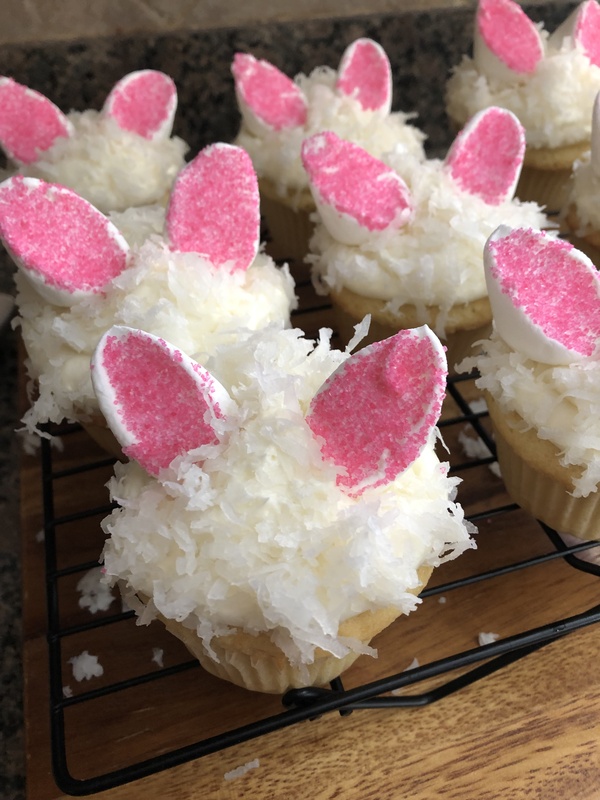 And what was even better than that, I decided that since these were a “fun cupcakes” I would use Funfetti cake mix and lo and behold on the side of the Pillsbury box on Funfetti cake mix were the instructions to make these. 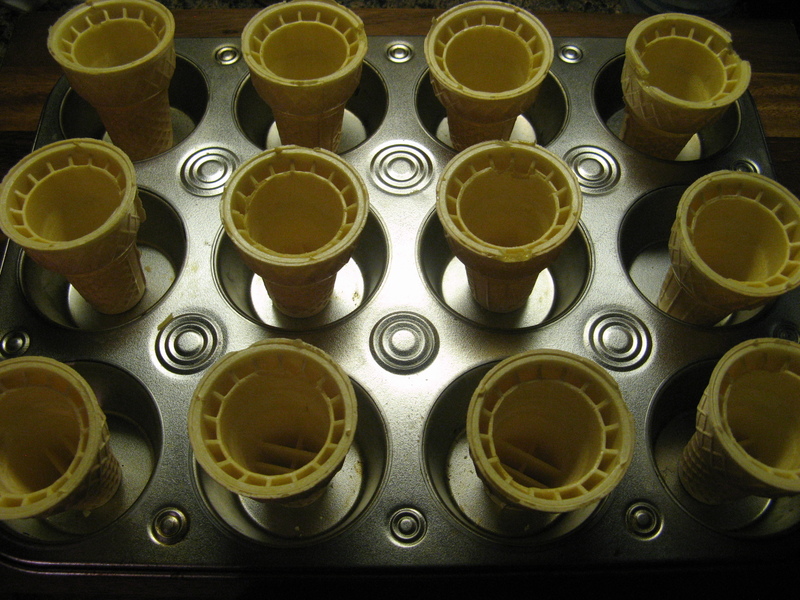 Next, after preparing the batter, I poured about 3 tablespoons of batter into each cone. 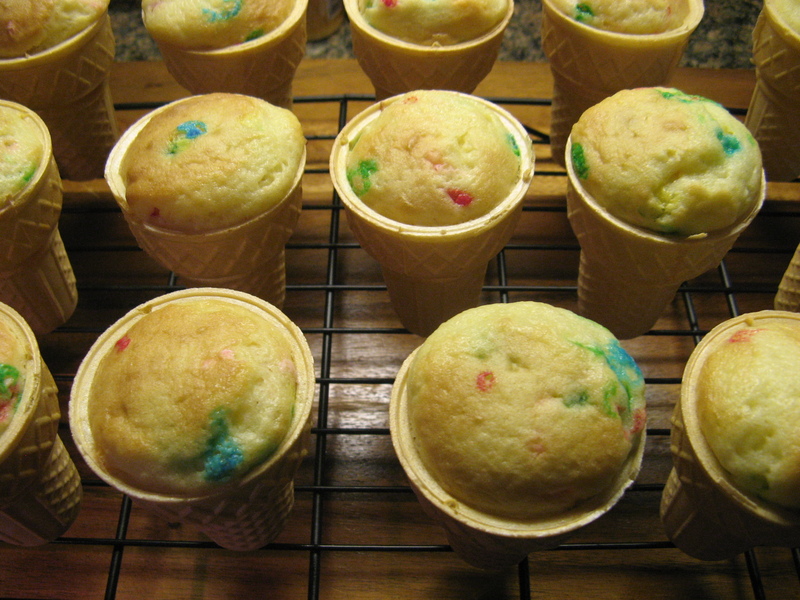 You don’t want to overfill the cones, if you do, you’ll end up with a cupcake spilling out of the cone once baked. 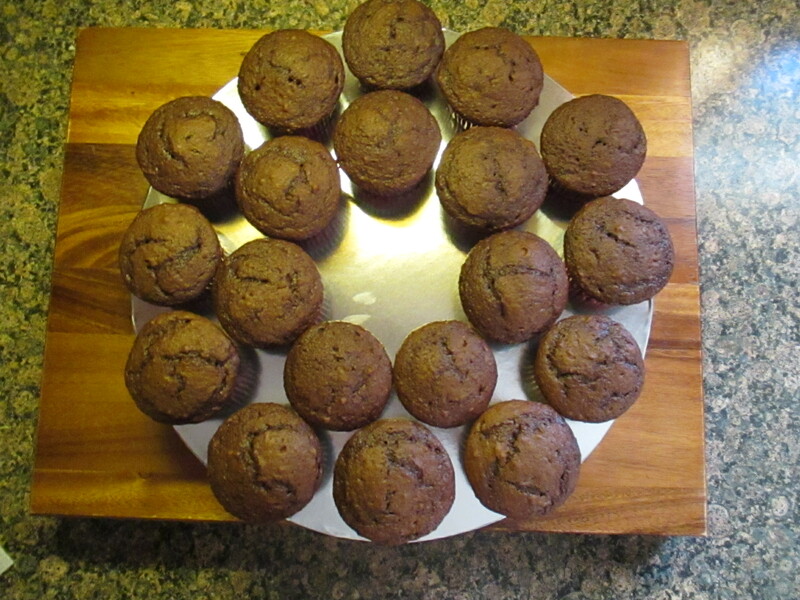 I then baked them in a preheated 350F oven for approximately 25 minutes. 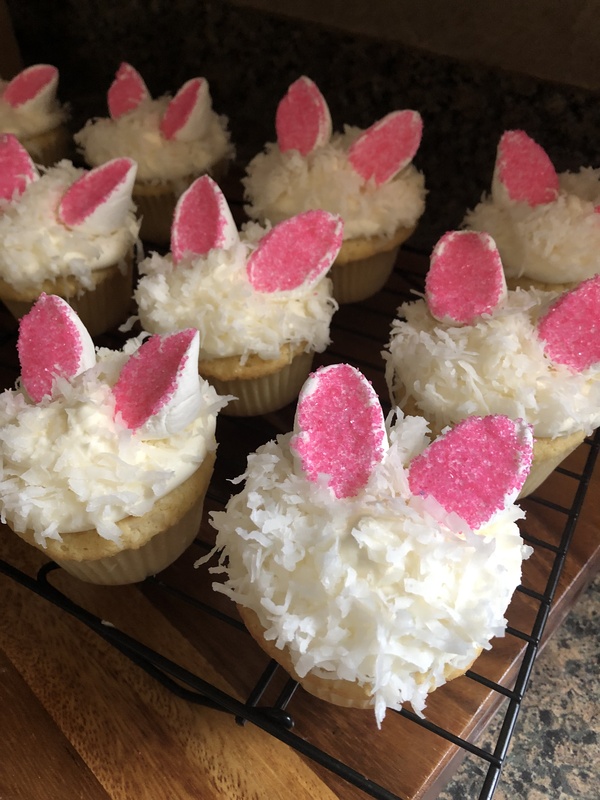 And then piped frosting on each cupcake using a large star tip (I used Wilton size 1M) to resemble a soft serve ice cream cone. And no ice cream cone is complete without sprinkles. 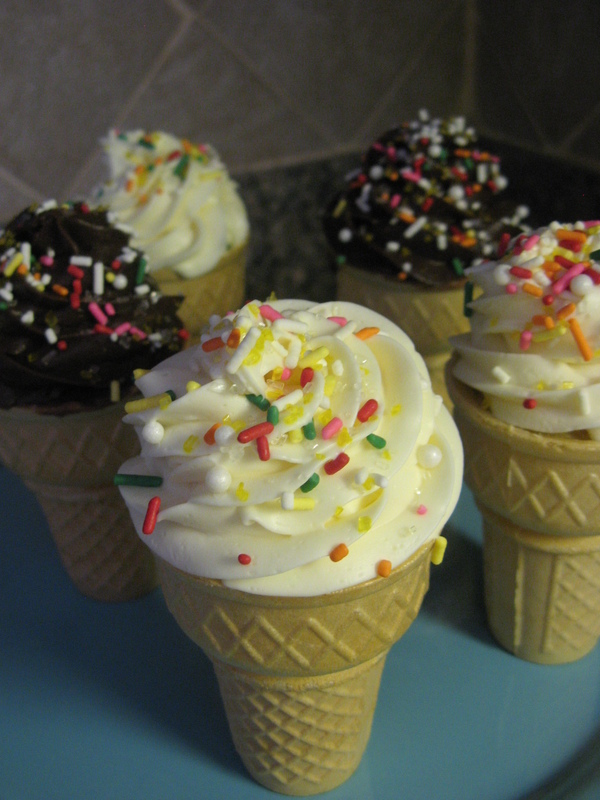 There you have it… Ice Cream Cone Cupcakes. 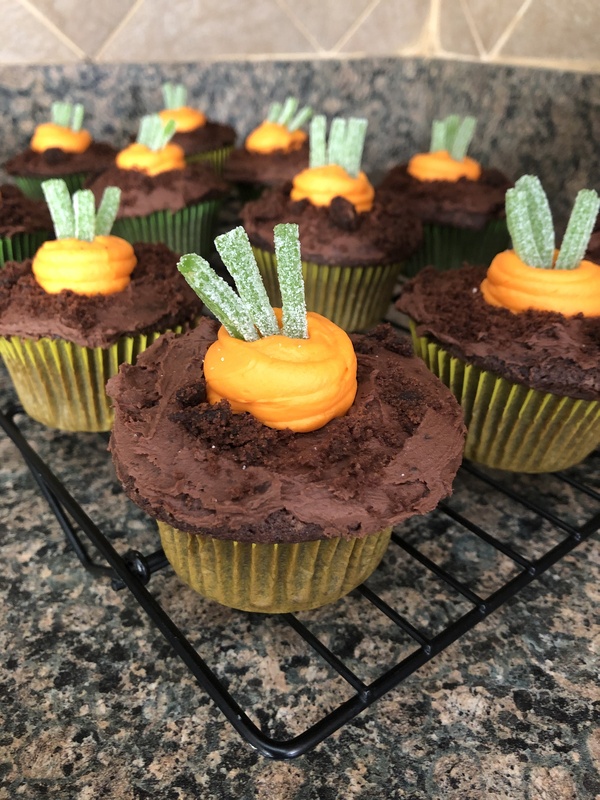 While they are fun and delicious (and probably the perfect treat for a kids party) they do have a downfall, they are top-heavy. Which means transporting them can be a challenge. 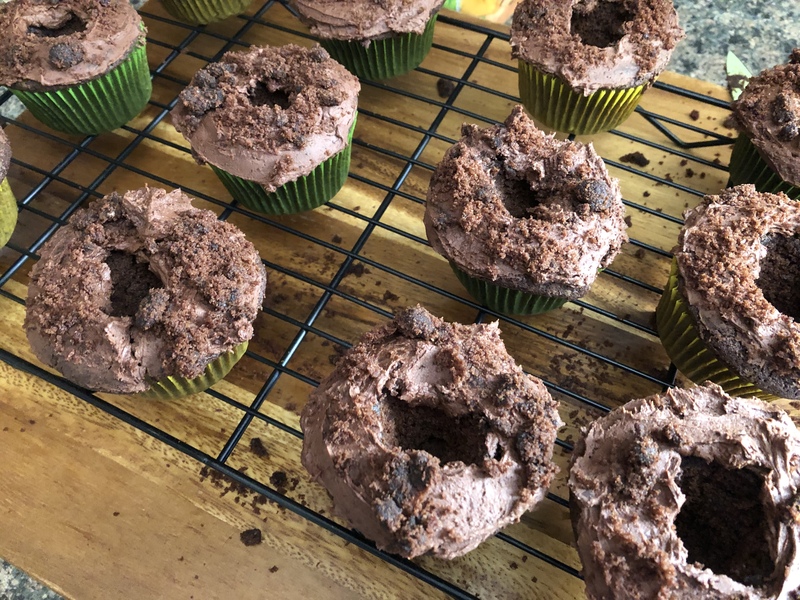 I dropped a few of them while trying to balance them on a cake stand while walking. Lesson learned!